Over the past two years, Volvo has really upped their game. 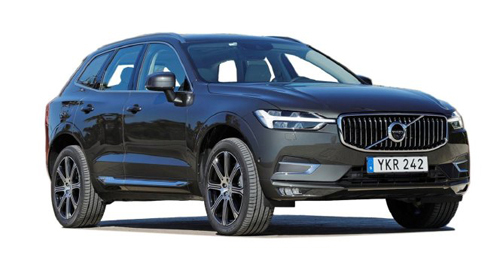 And their products speak for themselves – right from the XC90, S90 or even the relatively niche S60 Polestar and the V90 Cross Country. While all of these are impressive products in themselves, their best-selling model has always been the XC60. Volvo claims that nearly 30 percent of their overall sales in India is thanks to this mid-sized SUV. It is no wonder then, that Volvo has a lot of hopes from the newest version of the XC60. First unveiled at the Geneva Motor Show, the XC60 is all set to be launched in India on December 12. We got a chance to spend a day with it and find out if it can live up to the expectations. The first thing that really strikes about the new XC60 is its design. Just like all the new-generation Volvo models on sale, this one too has elegance written all over it. The vertical slat chrome grille, Thor Hammer headlight to the long L-shaped taillights, are some of the design cues that have become a signature of all the new Volvo models. Keeping in mind that Volvo will only be launching the Inscription trim to start with, all of these design features are standard. And despite that, the XC60 manages to set itself apart from its larger sibling. The bonnet curves in slightly towards the edge, the sharp indent on the lower half of the door and the raked-out C-pillar helps it build a persona that is separate from the XC90. The XC60 has been fitted with 10-spoke 19-inch alloy wheels as standard. If you have experienced any of the new-generation Volvo models, on the inside the XC60 will feel like a familiar office. It has the same steering wheel that we have already seen on the XC90, S90 and more recently the V90 Cross Country. In fact, it also gets the vertically stacked 9.0-inch touchscreen unit that is the command system for almost every function of the car. So, from controlling your infotainment options, displaying feed off the reversing camera, to activating the long list of safety features, this screen does it all. Fidgeting with the air-con on this touchscreen does require you to take your eyes off the road though. We have said this for the other Volvos too, and we will say it again – we wish the XC60 came with buttons and knobs for the air-con controls. The dashboard is draped in black Nappa leather at the top and soft touch plastic at the bottom with unlacquered wood finish splitting the two. Volvo offers three colour options for the upholstery – Maroon Brown, Amber, and Blond. Front and back, the seats are amply supportive and comfortable. The driver, as well as the passenger, get ventilated seats with massage function. Funnily, passengers at the back only get heated seats. Speaking of which, the rear door doesn’t open wide enough to make ingress and egress a rather smooth affair. The XC60 gets all the features that you’d expect from a car in this class. As you’d come to expect from a Volvo, the XC60 too comes with a brochure full of safety features like Blind Spot information, adaptive cruise control, lane departure warning, 360-degree camera, semi-automatic parking and more. Even after spending a day on board, the 2017 Volvo XC60 is a car that is hard to find faults in. From design and features to comfort and performance, it does everything with such amazing efficiency that Volvo will surely not have to work hard to sell it. Volvo has only introduced the XC60 in the top-spec Inscription trim. Priced at Rs 55.90 lakh, it demands a few lakh more than its immediate rivals Audi Q5 and the BMW X3. 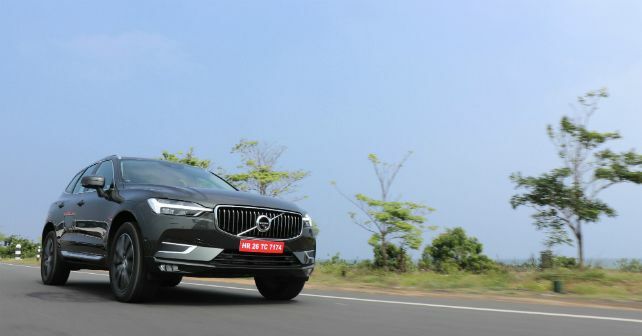 Here it is important to note that both these cars are due for an update next year and more importantly, the XC60 is noticeably better equipped than its rivals in the discussion. With the new Q5 and X3 expected to be launched in a few months time, Volvo has timed the launch perfectly. But the fun will only begin when updated versions of both these cars get launched. Till then, Volvo can enjoy the first mover's advantage.